You are here: Home / Crypto Blog / Travel / Guest Post: The Story Behind the Work and Travel Platform Hippohelp! My name is Leopold, and I’m the creator of Hippohelp, a free map-based online platform that connects hosts with travelers who work in exchange for food and accommodation. Today I’ll share how I got the idea of creating Hippohelp, struggles along the way, and what motivates me on working on it. Let’s get started! One great obstacle I’ve run into when arriving was the language barrier. Very few people here speak English, and without knowing Chinese even the most basic things like taking a cab or finding somewhere to stay can take a whole lot of energy and time. But somehow it’s possible to see who’s fresh, and who’s been here for a while, and since I was fresh many Chinese really went out of their ways to help me out. My first months in China would have been a whole lot harder if not for all these helpful people. And for learning the language, it’s obviously a lot of hard work, but taking a practical approach to the learning process made it easier for me. For example, I switched the language to Chinese in my phone, spoke Chinese to my friends and wife, instead of English, and studied when commuting. I liked China so much that I decided to stay here and learn more about the culture and language. Fast forward 4 years and I had met my wife, and also developed a small piece of land outside Guilin, a popular tourist destination for backpackers. At our small “plantation” we grow our own vegetables, and it’s a great way of reducing stress generated when working in front of a computer all day long. 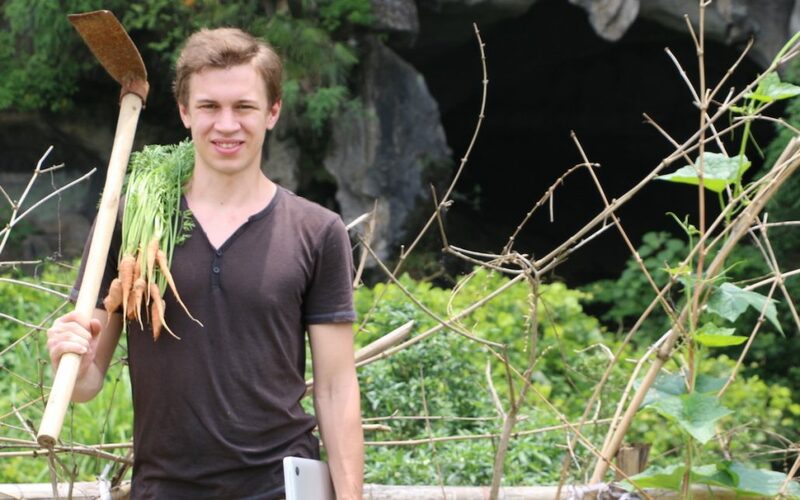 Growing our own food did however require more time and work than we originally anticipated, and that’s how I got the idea that some backpackers from the area might be interested in helping us out, in exchange for getting free food and accommodation in return. After that I searched for websites that we could use to find helpers, but found that they were either too outdated, too complicated, or way too expensive, so I decided to create an alternative of my own. I didn’t know anything about programming when starting out, so the first thing I did was reading a book about the most important programming languages, and when I was done with it I did a few test projects to put what I had learned into practice. Once I felt somewhat comfortable about what I was doing I started coding Hippohelp. Since it was my first project it took around 6 months before I could launch it. During the development process I had to Google up a lot of answers on how to do things, and there were a lot of frustrations and errors along the way. But I was also learning a lot, and it was fun at most times, so I just kept going. At a few points I’ve had to hire freelancers along the way to help me out, and generally speaking it’s worked out, but I’ve also found that you need to be super careful when hiring and managing freelancers. I’ve had some major issues with some freelancers that I’ve hired, and I feel that it’s very important to know enough to make sure that the freelancer is doing what he/she is supposed to do, otherwise it’s easy to get a bad result, or even worse, a result that is harmful for your business. A freelancer could for example unknowingly do code that makes your site vulnerable to hackers, or implement a SEO strategy that gets your site penalized in Googles search results. However, there are a lot of great freelancers out there, and once you’ve found a fit it can be of really great help for your business. Another struggle is making the platform more well-known. Since I don’t have any funds to market it I have to do a lot of manual outreach myself, and also rely on people spreading the word. 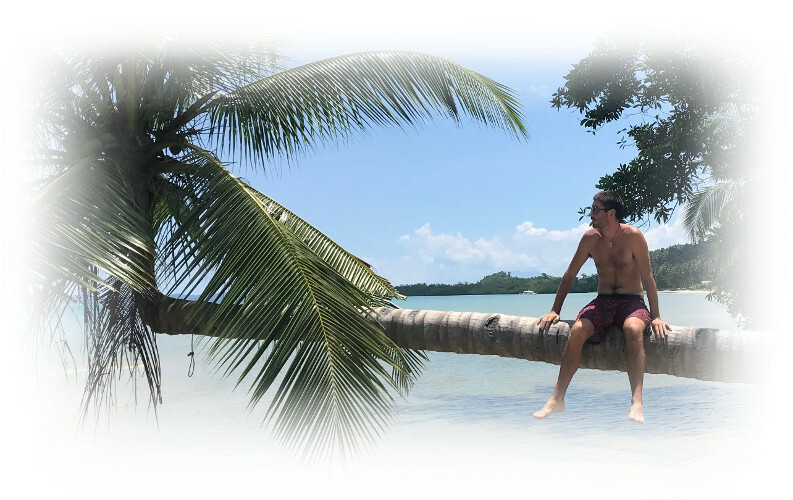 When I first started mailing bloggers who write about travelling I was afraid of being labeled as a “spammer”, but many are very happy to hear about Hippohelp, and have helped me a lot in promoting the site, as well as letting me know how to make it better. When I first got the idea I wanted to create the platform mainly as I felt that there were no good alternatives around, so I wanted to solve the problems that I saw with the existing platforms, and also learn how to program along the way. However, after I launched Hippohelp I got motivated for a lot more reasons. After checking all exciting projects made by real people on the platform I’ve gotten more and more interested in their ways of living. There are some people who don’t have a set physical home and travels between hosts full time instead, and there are hosts who lives more or less outside the “system”, growing their own food and living a life that suits them. I feel like many people think that the “9 to 5” life is the only way of living, and since many of these people doesn’t seem happy about living that way I want to make it possible for them living differently. The idea about working in exchange for food and accommodation have already been around for a while, but I want to use Hippohelp to make the idea more “mainstream” to reach more people who might want to try alternative ways of living. Another thing that motivates me is all the support I’ve gotten from people on the internet. Since the platform is free to use for all members it’s easier for “normal” people to try it out and discover new ways of travelling, and many users feel that the map-based interface is of great help since it makes it easier to find both travel-buddies and hosts by scrolling the map to a specific location. Having to open hundreds of tabs when searching for a host is something that seems to be driving people crazy, and since you never leave the map-interface this won’t be anything you have to do when using Hippohelp. It feels very good reading long emails from users who are leaving feedback on how I can improve the site and make it more well known. I feel that these people are happy hearing about Hippohelp and it feels good making a positive impact in other people’s lives. http://www.samklemens.com/wp-content/uploads/2017/08/HippoHelp.jpg 750 1200 Sam http://www.samklemens.com/wp-content/uploads/2018/06/SK-Logo.png Sam2017-08-03 13:04:242018-06-19 01:25:48Guest Post: The Story Behind the Work and Travel Platform Hippohelp! Great post Leopold! A very inspiring story. I was on a hunt for an article about traveling to Germany, and came across your post. Hippohelp is the answer to all my finance questions in travelling abroad. This is great.